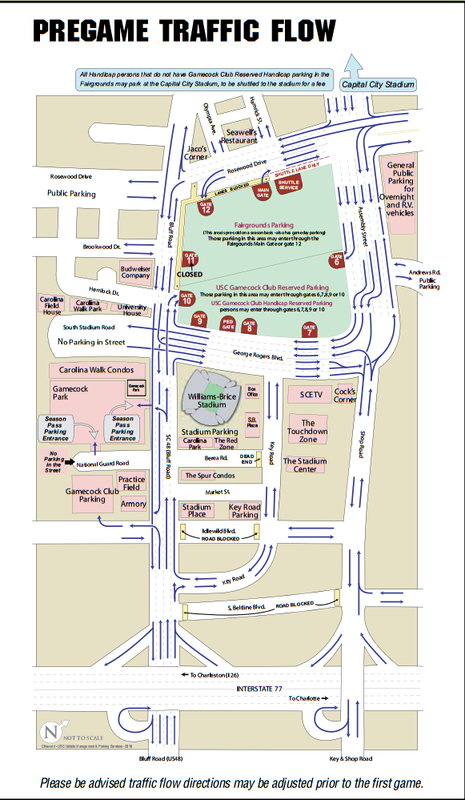 Several private parking lots are available in all directions from Williams-Brice Stadium. Expect to pay $30-$40 per space for these private lots. 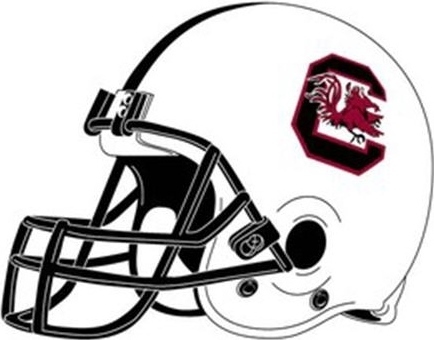 ***Per the City of Columbia, the Capital City Stadium Parking Lot is NOT AVAILABLE for the 2017 season*** This parking lot is provided for overflow Gamecock Club members and visitor parking. This is the least expensive and least crowded lot and is located less than a half-mile from the stadium on the west side of Assembly Street. It is an easy walk down Hamrick Avenue to Seawell's where the pep rally is located. The cost to park in this lot is $10 per car or $10 per space needed to fully accommodate RVs. 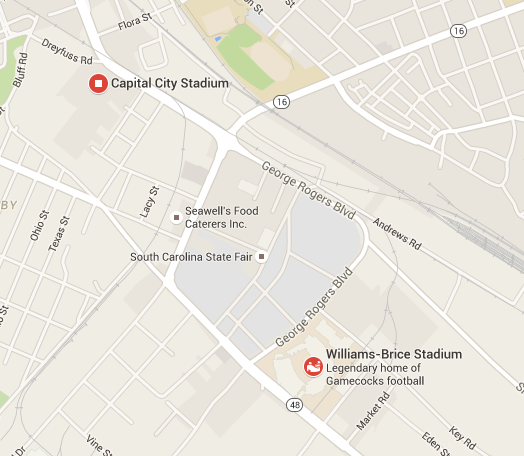 The GPS coordinate is Capital City Stadium (Blowfish), 301 South Assembly St., Columbia, SC 29201. 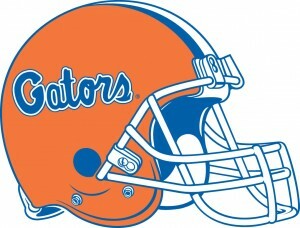 For SEC games, this parking lot will open on Fridays at 2 p.m. for self-contained (no hookups) RV parking. No reservations; parking is first come, first served. Pregame shuttle buses will pick up fans from the Capital City Stadium parking lot and transport them to the main gate of the South Carolina State Fairgrounds. At the conclusion of the game, the shuttle bus will pick up from the main gate of the Fairgrounds and transport patrons back to the parking lot. Return transportation will also be available after the game, beginning with five minutes left in the event and until there is no one waiting at the shuttle stations. Seats on the shuttles are intended for those who are handicapped and one attendant to assist their handicapped companion. Please be advised that both pedestrian and vehicular traffic are extremely heavy following the game and, therefore, wait time for shuttles may be extensive. Handicapped parking is also available to the general public at Capital City Stadium located at 301 South Assembly St, Columbia, SC 29201. The cost is $10 per car and a shuttle bus to the Fairgrounds is available (see above). Reserved RV parking is available in the Fairgrounds (803-799-3387) on the east side of Assembly Street and at Gate 12 on Rosewood Drive. Non-reserved, no-hookups RV parking is also available on Friday and Saturday only at the Capital City Stadium lot described above.